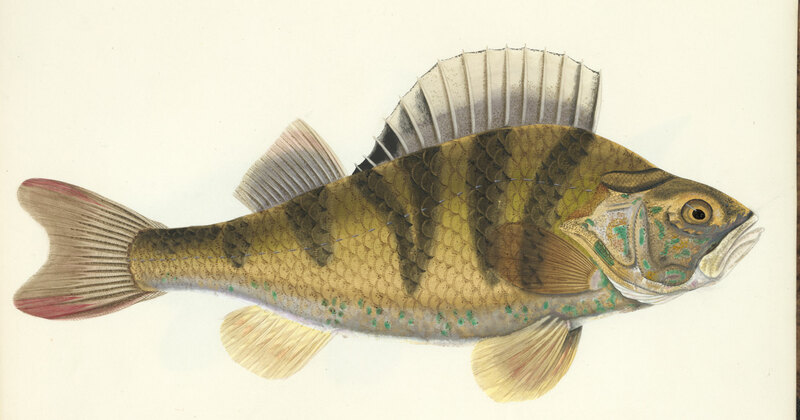 Author, naturalist, illustrator, traveler and collector Sarah Bowdich (1791–1856) is recognized as the first woman to undertake a detailed study of Britain’s most important freshwater fish. Her observations, images and authoritative text can be found in her book The Fresh-Water Fishes of Great Britain, an exceptional work of ichthyology housed in the Academy Library’s rare book room. 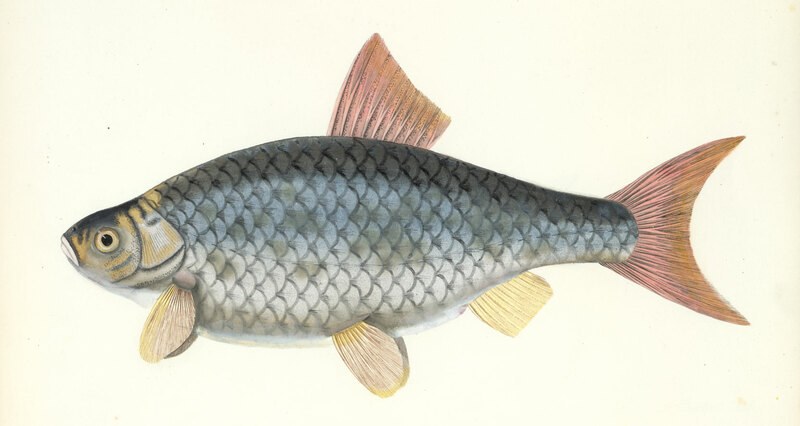 It took 10 years for Bowdich to complete The Fresh-Water Fishes of Great Britain (1828­–1838). Over this time, she carefully drew and painted each fish fresh from the water before its colors faded. This technique was more accurate than painting from the dull-looking dried or preserved specimens that existed in collectors’ cabinets. 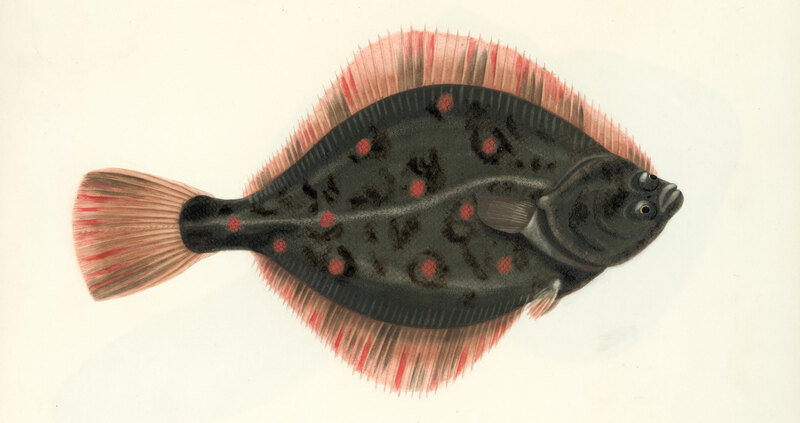 Bowdich’s application of paint mixed with ground fish scales gave each illustration a lifelike appearance. This technique rendered the natural sheen of the fish (a sheen that is still visible on the page today). Bowdich did not use an engraver to produce her work, as was customary during this time. She drew and hand-colored every illustration in the 50 copies that were published, totaling approximately 3,000 plates. Along with each fish Bowdich provided the classification/family and a full description of its shape and colors, followed by information on specific behaviors, instincts and favored environments. The work was distributed in 12 installments, and the illustrations were presented in a visually appealing manner rather than being arranged by scientific classification. When the book was completed, pages could be easily disassembled and arranged according to the reference given in her text. Our copy has been arranged to reflect the proper order of species. Upon completion, The Fresh-Water Fishes of Great Britain was largely ignored by others in the field due to a common belief that women’s contributions to a scientific work should be secondary to that of a lead author or researcher. A woman contributing illustrations to a scientific work was appropriate, but it was deemed improper for a woman to sole-author and publish a reputable scientific work. Given these limitations, Bowdich was fortunate to be able to travel and collect specimens with husband Naturalist Thomas Edward Bowdich (1791–1824). As a couple they traveled to West Africa and subsequently landed in France to prepare for a return trip to Gambia. In preparation for this expedition they were acquainted with famed French Naturalist Georges Cuvier (1769–1832) who allowed them use of his collections and libraries. Within the year of arrival to Gambia, Bowdich’s husband fell ill and died. Then widowed with three children to care for, Bowdich returned to Cuvier who served as her collaborator and mentor. It was through this partnership that she was able to continue to gain access to collections and resources that women would not have otherwise been permitted to access. Bowdich went on to publish numerous books on natural history. Among such publications is a work on taxidermy along with a book started by her late husband on their travels to Africa. Also, with the passing of her colleague Cuvier in 1832, she worked around the clock to quickly publish his biography. Through these works, Bowdich broke through obstacles for women in science, paving the way for exceptional scientific research and illustration by women in the years ahead. This article was written for the spring/summer issue of Academy Frontiers. Images: Bowdich, Sarah. 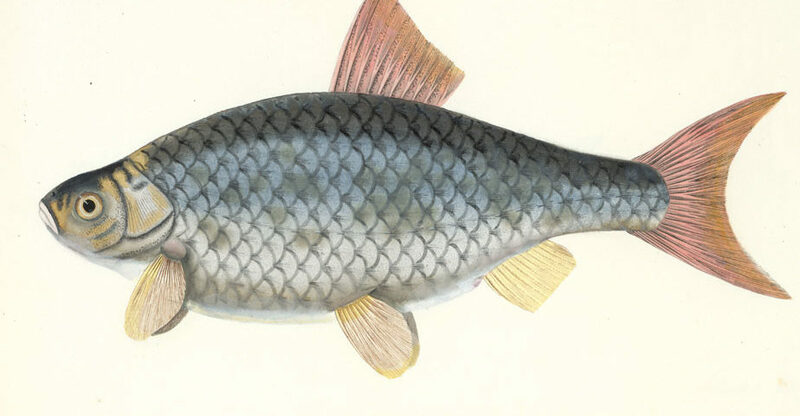 The fresh-water fishes of Great Britain / drawn and described by Mrs. T. Edward Bowditch. London. 1838. QL633.G7 .L48 1828.